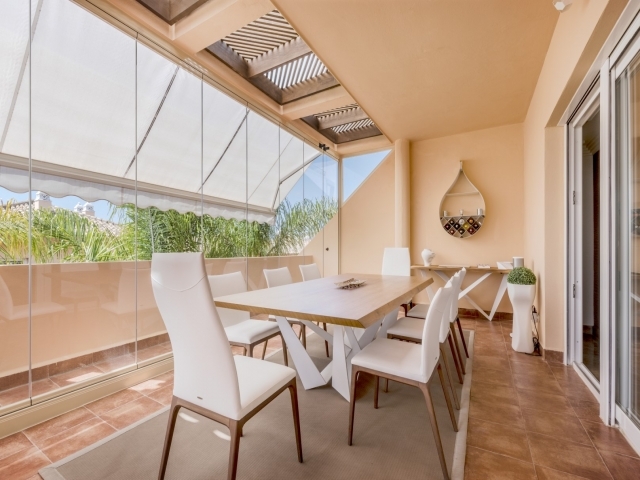 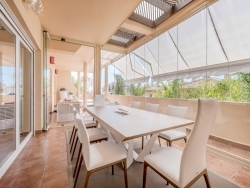 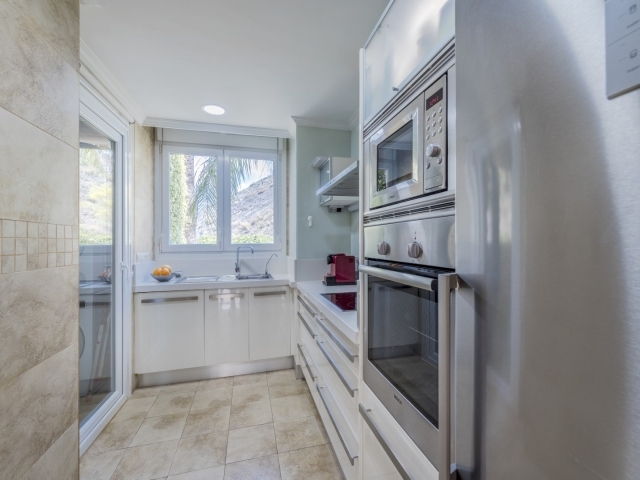 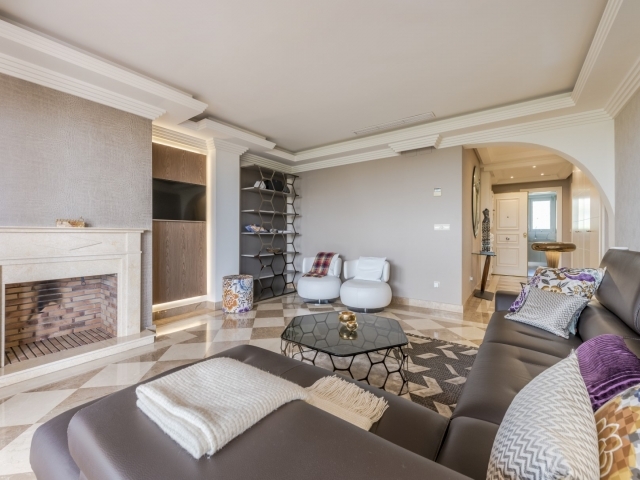 Beautiful three bedroom apartment for sale in Vista Real, a private residential development in the hills of the Nueva Andalucia Golf Valley. 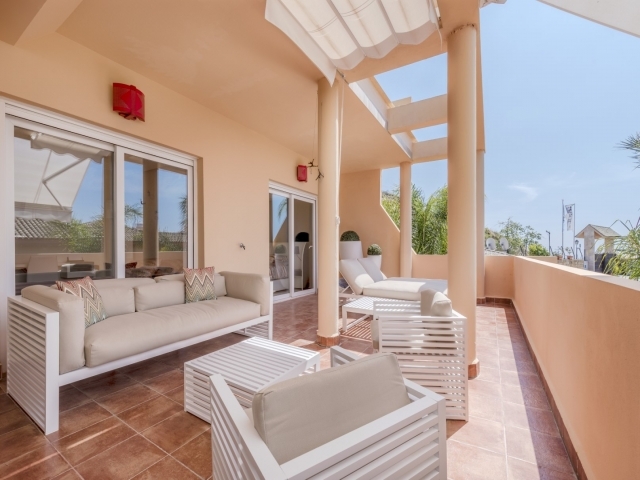 The gated complex boasts tropical gardens, a communal swimming pool and stunning panoramic views due to its elevated positioning. 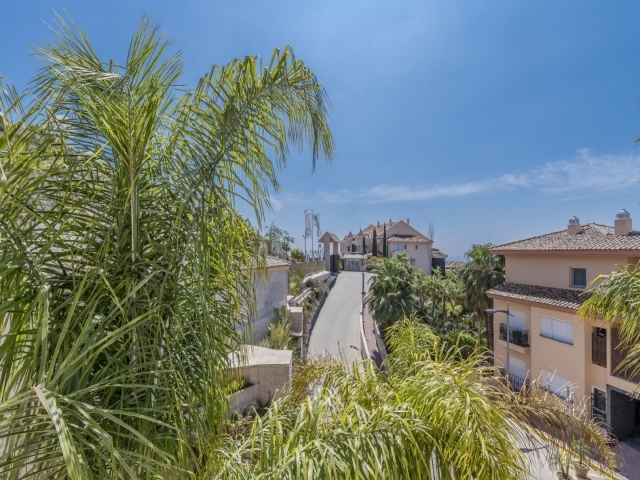 Surrounded by renowned golf courses, including Los Naranjos, Magna Marbella, Las Brisas and Aloha, the location is ideal for keen golfers. 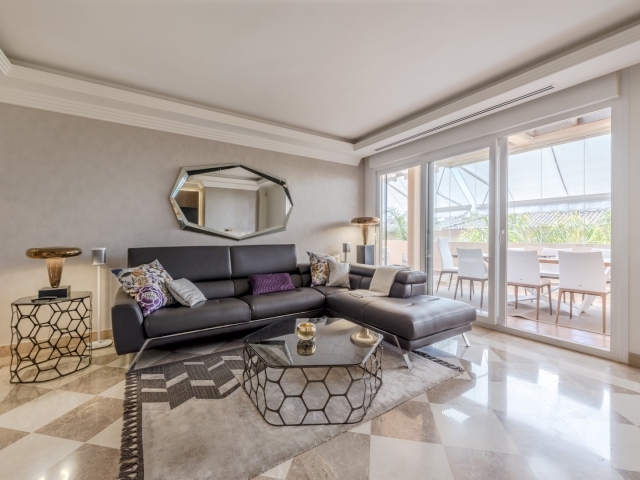 Popular with both residents and tourists, Vista Real has all amenities close at hand; the luxury harbour of Puerto Banus is just a short drive away, as are the more traditional Spanish towns of San Pedro and Marbella offering ample choice in terms of bars, restaurants, schools and shopping. 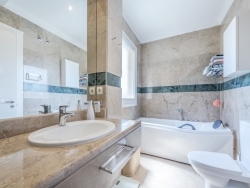 This three bedroom unit comprises an open-plan living and dining room with a lovely fireplace feature and direct terrace access, a fully fitted kitchen, three bedrooms, three bathrooms and a guest WC. 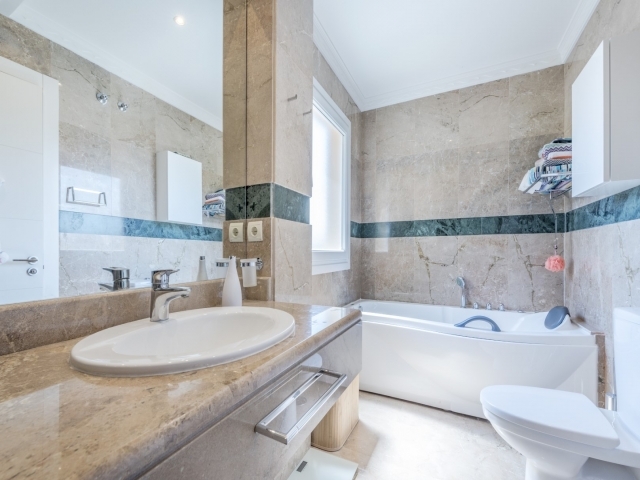 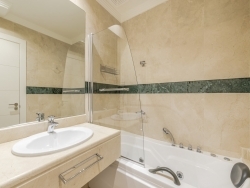 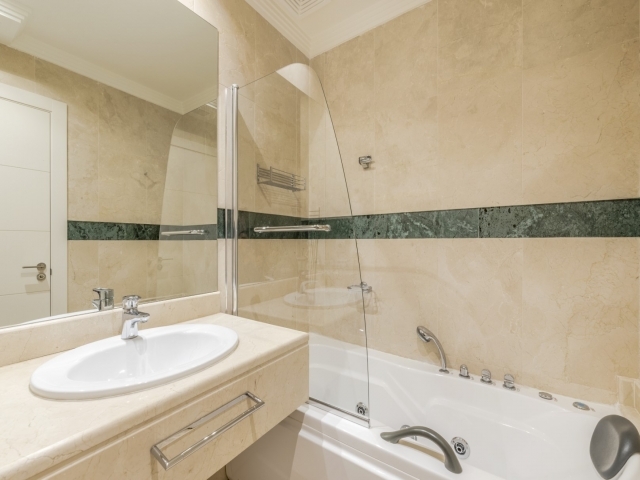  The property has been built to a high specification with a tasteful decoration and includes parking for two cars in the garage and a storage room. 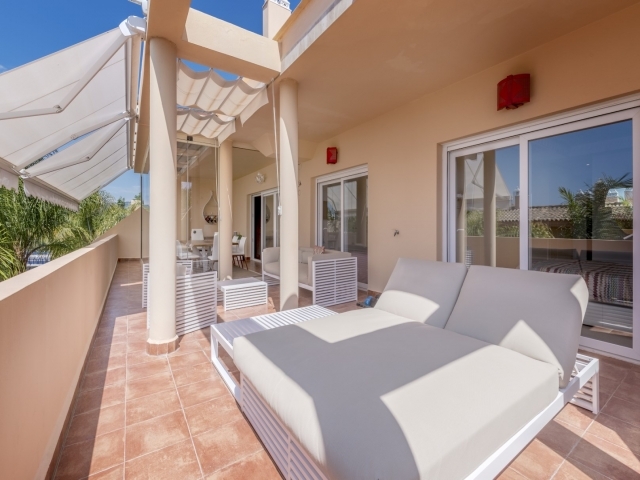 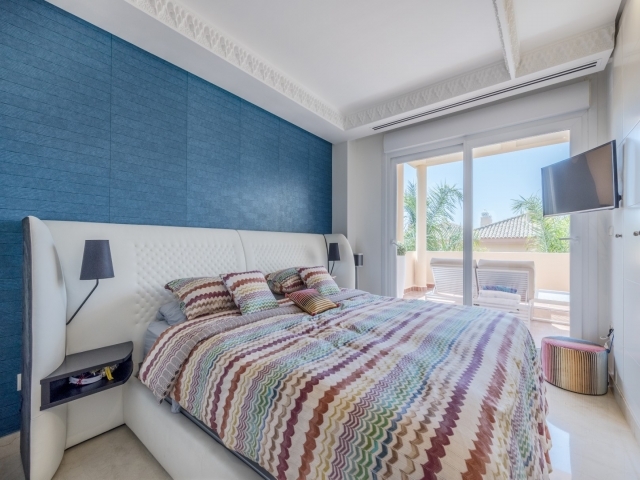 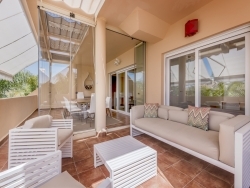 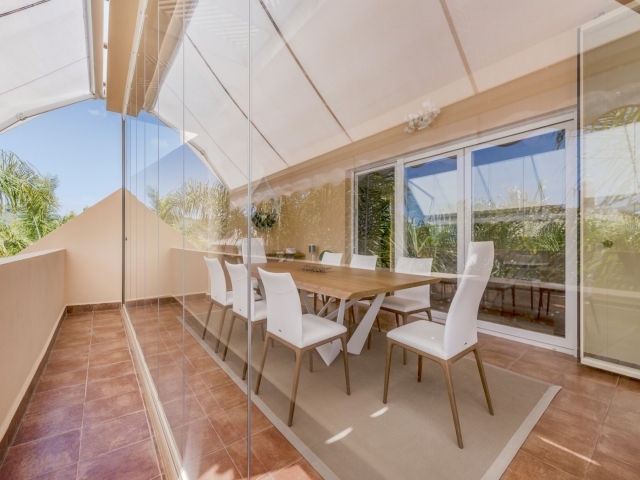 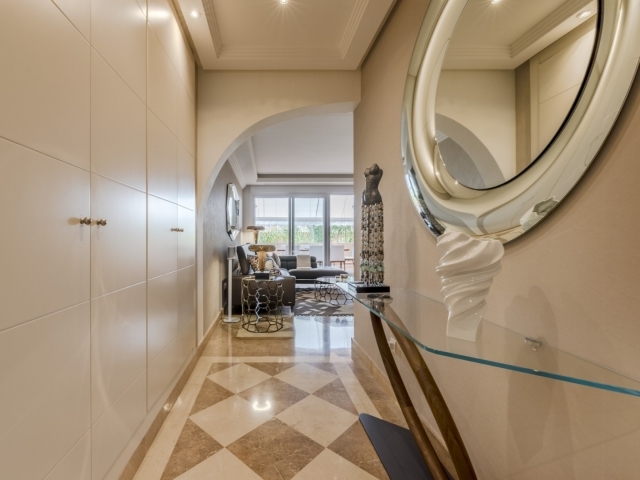 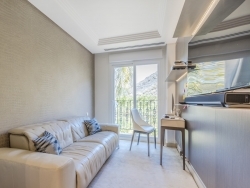 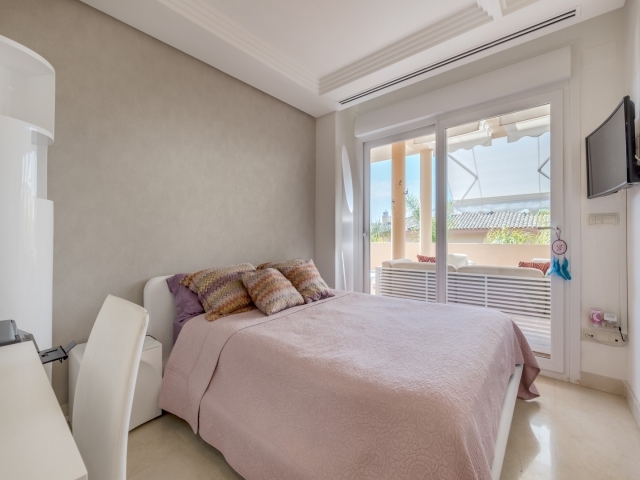 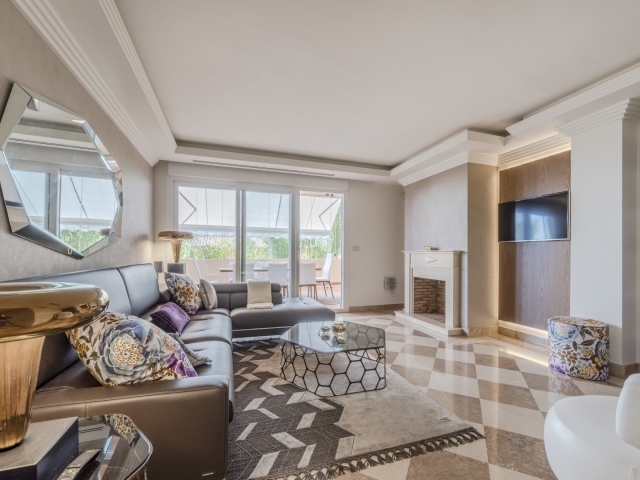 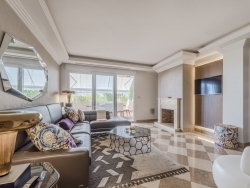 Set back from the hustle and bustle of tourist hotspots yet still within easy reach of Nueva Andalucia, Puerto Banus and Marbella, this stylish apartment is a very appealing option for anyone looking to buy on the Costa del Sol.